Specially designed to meet the most demanding studio tracks, the BT Equalizer PEQ322 features 3 parametric bands with center frequency, bandwidth-Q and amplitude controls, high-pass and low-pass filters as well as low-shelf and high-shelf filters. 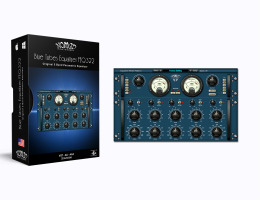 The BT Equalizer PEQ322 delivers the controls and the amazing results of a true analog EQ. The PEQ322 is the perfect choice when a truly vintage EQ sound is what your music requires.